David Powers King: Moonless/Diamonds and Dust Release, New Members, and The 2013 Cheersfest "Roastee" Announcement! Moonless/Diamonds and Dust Release, New Members, and The 2013 Cheersfest "Roastee" Announcement! Hello! It's Monday! That means a much-needed announcement must be made about two new fantasy releases! 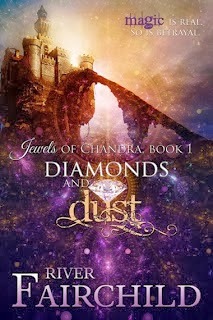 First, Jane Eyre meets Supernatural in Crystal Collier's Moonless, and River Fairchild's first book in the Jewels of Chandra series, Diamonds and Dust, has come (descriptions courtesy of Goodreads). Congratulations to you both! New members continue to file into the starship, it seems! There's plenty of room in here, so please, do make yourselves at home! 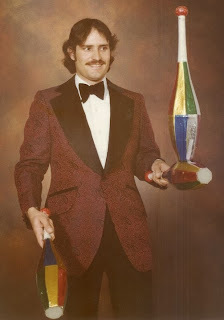 I'm now turning the controls over to our 2013 "Cheersfest" host and valiant Knight of the Cosmic Table, Sir Mark (Madman) Koopmans! So began the inaugural CheersFest (aka AlexFest) when our Ninja Captain, Alex J. Cavanaugh, was roasted and toasted in December 2012. Everyone (including A-Cav) had such a great time that we’ve decided to do it again. 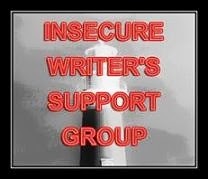 He majored in English while at the University of Tennessee, has blogged since 2008, and currently has six blogs that delve into his diverse mind. 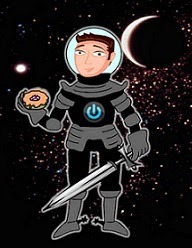 · In +/- 40 words, make a caption for Lee’s Facebook picture! · An autographed color photo of Arlee Bird appearing as the Court Wizard in the World of Fantasy Players. Also included in the first prize pack are an assortment of promotional materials from Lee’s show biz days with a personal letter and a brief history of his entertainment career. · A personalized graphics design from Jeremy at Being Retro for the winner’s blog (Jeremy will design a header, badge, button, banner, or whatever might appeal to the winner). Ready to "roast" this Arlee bird? Sign up at the end of this post! 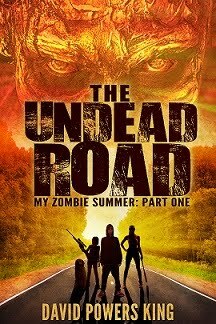 Update: there's about 8K left for The Undead Road, and I should easily have that taken care of this week. Other than that, I aim to enjoy my last week of leave with my family and Boy 2. Here's to another fantastic week of writing adventures, my good friends! What do you think of those new releases? How goes the NaNoing? Be honest - who's excited to roast the Arlee Bird next month? I'm David, and "welcome to Dauntless ..."
To join the "roastfest" of Arlee Bird, please sign up below! I'm just happy I get to be on the other side of the roasting this year!!! Congratulations to Crystal and River. 8000 more words - done deal, David! Congrats to Crystal and River on their books. I'll be following some of the blogs roasting Arlee. I've seen his name around a lot and am looking forward to learning more about him. Thanks for the welcome, David :) NaNo has stalled (much like the plain my main character had been flying), but thanks for asking. Off to check out the links!! These new books sound fantastic, and I'll definitely be checking out all of the Arlee roasters! So much fun. Glad to hear NaNo is going well for you. I'm behind on the word count (I mostly blame having to work) but I think my narrator's voice is finally starting to come together. Hopefully it'll be easier and faster to write from here on out. I haven't signed up to roast Lee yet, but I might. Have to check my traveling schedule. I love the cover to Diamonds! And that's a great trailer for Divergent. SO many good things to comment on here!!!!! I'll just say you rock, DPK. And stoked to co-host with you for the CheersFest. Lee will be so much fun! Those books sound pretty interesting. The stories that other bloggers will come up with me should be interesting as well. How will the "brown jacket" enter into the stories? Thanks to all for the honor of being "roasted". I will think about the Arlee Roast (as in participating). Right now I read those questions and word prompts and my mind Blanks. Maybe that will change and I will feel inspired:) If not, I will definitely read them. So glad that Arlee received this honor!!! I'm seeing these everywhere today which is awesome! I so want to read the book. I have only read the first book in the Divergent series. I'm hearing mixed reviews on the last book, so I'm not sure I want to read any further. My goodness, so many amazing things happening. Thanks for the shout, David, and congrats River! 8k? Wahoo! Write, write, write! Crystal and River's books look incredible. Can't wait to read both of them. Signed up to have a little fun with Arlee! So nice to meet your newest members here! Looking forward to the Cheersfest for Lee. The two new releases look awesome! I've seen Moonless all over the blogosphere. Arlee is an awesome blogger. I like his blog about dreams! Great books featured. I loved River's story. 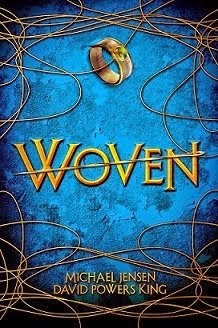 Both those books sound amazing, and look amazing, too--such stunning covers! Wow, there's a lot of stuff packed into this post! Awesome books and some new (to me) blogs to look at! So jealous you're reading Altered! Oh right not in the post....I just like looking around people's blogs. Any who....ok...ok...um...Mark was here, that's cool. Oh and I got my copy of Moonless Saturday. Yay! River's book definitely has some high points and the cover is bright. Moonless has a beautiful cover too. Of course I'm excited about Divergent 2014. Arlee is definitely a great choice for Cheerfest. I'm going now, have a great day David and congrats on all that progress with your MS.